By chance, I connected via social media with aerospace engineer, Andrew Rader, who also happens to be an author. An author of childrens books. Not just your run of the mill kids books, but educational kids books. 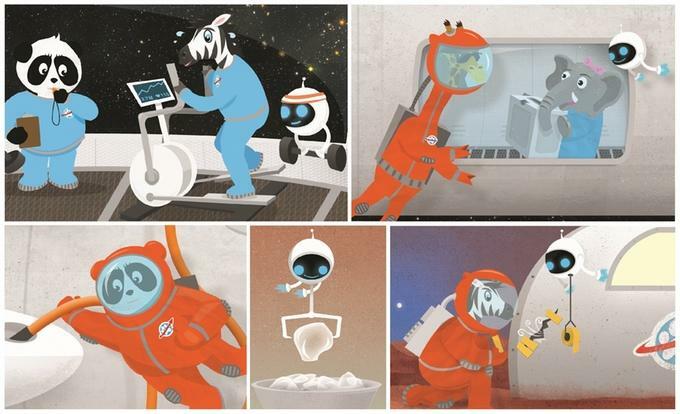 Mr. Rader uses his knowledge of space and science and brings us smart, yet entertaining books about exploration, suitable for the whole family. The first being 'Epic Space Adventure: Mars Rover Rescue'. I know, an educational book by a scientist, sounds scary and intimidating, but it's not at all. He tells his stories with such simplicity, that you don't even realize the fact that he's giving you a lesson. Not only does he deliver a great story, but he brought in a brilliant artist to convey his script perfectly, in Galen Frazer. His first book, 'Epic Space Adventure: Mars Rover Rescue' was so popular, that demand called for another jaunt into space exploration and rocket science with his new book appropriately titled 'Rocket Science'. 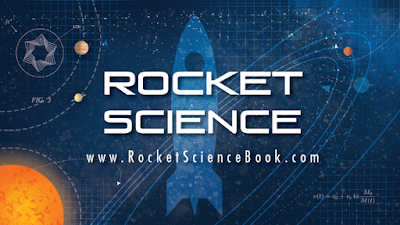 As with the first book, 'Rocket Science' will be funded via Kickstarter, which just launched hours ago. 'Rocket Science', according to Andrew, "Explains the physics of space travel in a way that's easy to understand, the book is accessible to anyone. 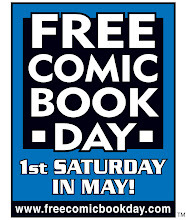 It's sure to ignite the imagination of kids of all ages, and even curious adults". Which means you and your children are going to experience the joys of science and journeys into space. Personally, I think this is the kind of book Sheldon Cooper would share with his own children (If he was a real person). 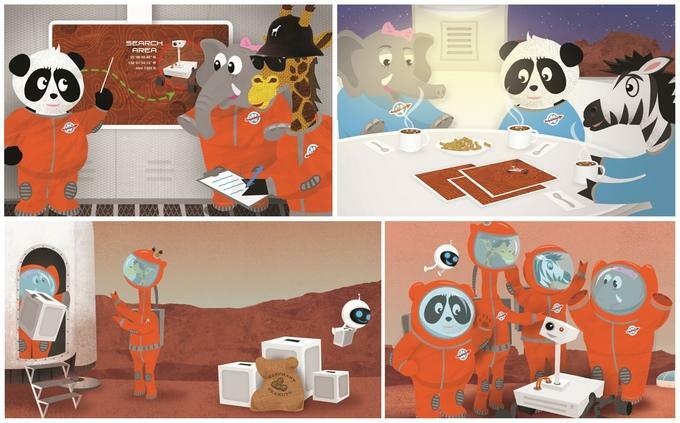 TheSteveStrout: Can you give us a quick summary of your book, 'Epic Space Adventure: Mars Rover Rescue'? 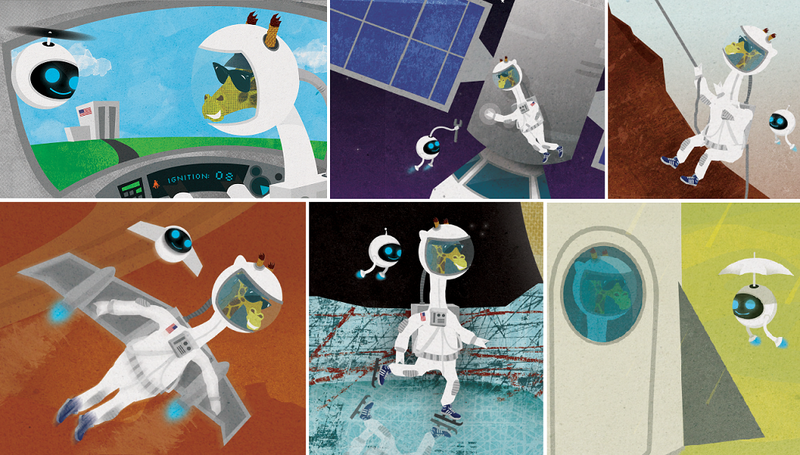 Andrew Rader: Epic Space Adventure is a tour of the solar system with a giraffestronaut (MD Longneck) and robot companion named Sputnik, where they have adventures at the most interesting planets and moons. 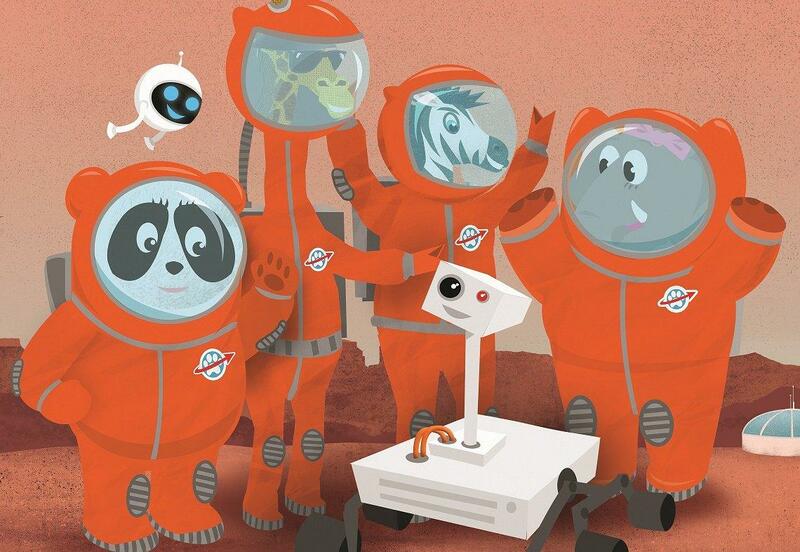 Mars Rover Rescue picks up where Epic Space Adventure left off, with Longneck and Sputnik being called back to join a rescue party to search for a missing Mars rover. 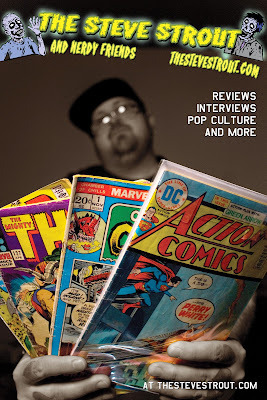 TheSteveStrout: Why did you opt for using crowding funding to publish the book? Andrew Rader: This is the easiest way to reach lots of people, and helps cover some of the very high upfront cost of printing a book. TheSteveStrout: I just had the pleasure of reading your book, 'Epic Space Adventure: Mars Rover Rescue. Though its written as a children's book, I thoroughly enjoyed it as an adult. I really dug the scientific element you incorporated, which I feel made it quite educational. Was that the intent in writing this book? Andrew Rader: I think the theme is that even our own solar system is a really interesting place, worthy of exploration and adventure. We often think of science fiction as hopping stars, but in the near term it will be settling the solar system. Kids are curious creatures, and I think they are naturally interested in what's out there beyond our planet. TheSteveStrout: How important was it that you kept the educational aspect, while still entertaining? Andrew Rader: I'm a stickler for scientific accuracy, although imagining some possibilities of the future is great. For me, the books have to be both entertaining and educational. TheSteveStrout: How did you decide on animals as your characters? Andrew Rader: Kids love animals, but it happened really organically. MC Longneck was originally the subject of a space rap video that the Illustrator Galen had made for Youtube. He approached me on Twitter to share the video, which I thought was great (you can still find it there), and I asked him if he wanted to do a kids book on the subject (something I'd always wanted to do). That was Epic Space Adventure. Then we had a lot of requests for female characters, and wanted to add more for a sequel anyway, so we brainstormed what kinds of animals would be most interesting. For a future sequel, I'm gunning for a monkey. They can do so much in 0G with their arms, legs, and tails. TheSteveStrout: The illustrator, Galen Frazer's' artwork is bold and colorful, telling the story perfectly without having too much going on. How did you connect with him, and how much freedom did he have with the art work? Andrew Rader: I connected with Galen on Twitter. I outlined what details each page should show, usually with an example image that captured the feel of the page, and he took it from there. Then I provided feedback and edits on the final images. 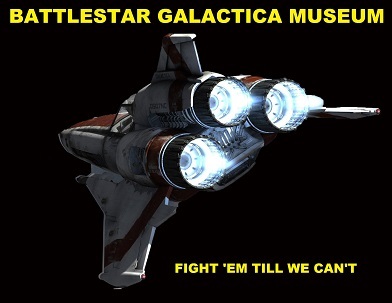 TheSteveStrout: I read that the art was based on the actual visuals from space missions. Was this your idea to give it a genuine feel? Andrew Rader: Yes, keeping realistic images from space is important. We were able to squeeze in the New Horizons images of Pluto just in time for publication of Epic Space Adventure. TheSteveStrout: Here's where the nerd in me over analyzes...I noticed some parallels between your book and the Ridley Scott Mars film from a few years back, for example, the potato growing for survival, and digging out the rover, etc...Was this coincidental, or was there some kind of connection between them? Andrew Rader: That was definitely intentional. We even billed the book as "The Martian for kids". Sort of a kiddie parody of the Martian. TheSteveStrout: Is this part of an ongoing book series? Andrew Rader: Ideally, yes. I'd like to do at least one more and maybe several. 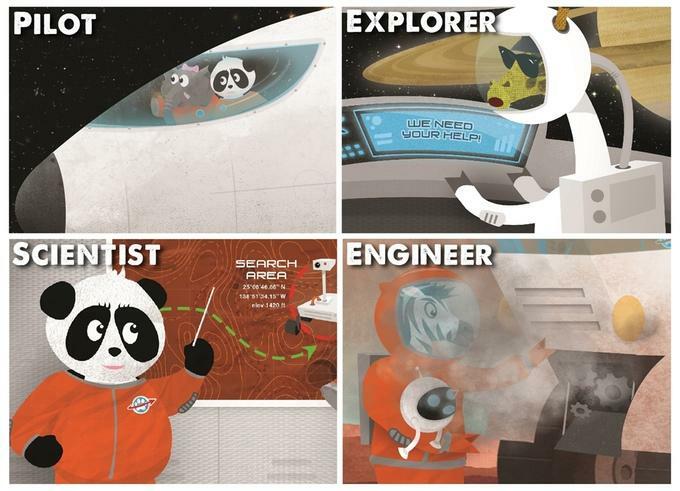 Our latest book Rocket Science has the same style of art, but is aimed mostly at older kids. TheSteveStrout: What inspired you to write the books? Andrew Rader: I've always wanted to write kids books because it's a fun medium to work in. You get to be a bit silly, but try to be educational at the same time. I think I'm a teacher at heart. TheSteveStrout: How would you pitch the book to a parent? Andrew Rader: Gizmodo did a pretty good job: "This Science Fiction Picture Book Will Make Your Kids Want to Colonize Mars". Normally I just use "It's like the Martian for kids". Most kids love space, so it's pretty popular. TheSteveStrout: Any advice for youngsters who may be inspired by 'Mars Rover Rescue' to pursue a career in science? Andrew Rader: "Follow you dreams" is probably too cliche, but stay active in as many engineering and science opportunities as you can. Doing well in school is important, but it's also really important to learn practical skill through design projects and hands-on work. TheSteveStrout: Besides the love of space exploration, what other interests do you have, and who were some of your inspirations? Andrew Rader: I love history almost as much as science and engineering. I see science as looking forward, and history as looking back, but both realms are about forging connections. Carl Sagan was probably my greatest inspiration in the realm of science. His excitement was contagious, and inspired me to love learning about the Cosmos. As always, thanks for stopping by and enjoying our content here on www.thestevestrout.com. 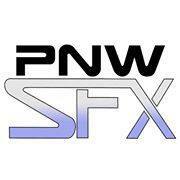 We are always looking to add new content, so if you are interested in doing reviews (comics, movies, etc..), cover nerd conventions, share great geeky projects, or just share thoughts, get in touch! Though it's unpaid, I tend to share fun benefits with contributors.